There are times when you get to see stuff that literally makes you go head over heels. It’s a dog eat dog world out there and everyday competitors are busy making new stuff to grab the attention of many. But, at times you do feel something is missing. 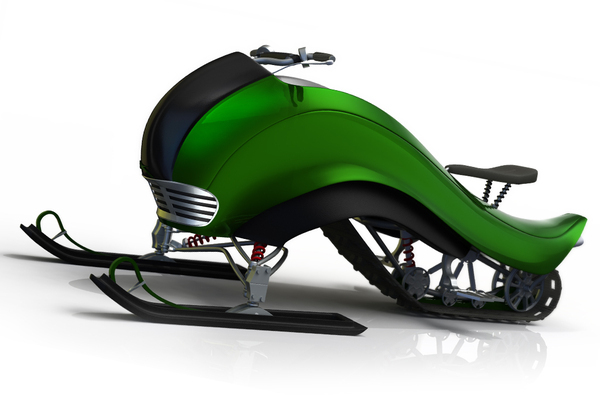 When I saw this Hima snowmobile concept, I knew at once that this is one thing that has been missing. We sure see many new snowmobiles being launched. Each new piece comes with a plethora of new options and features but none of them stands out. 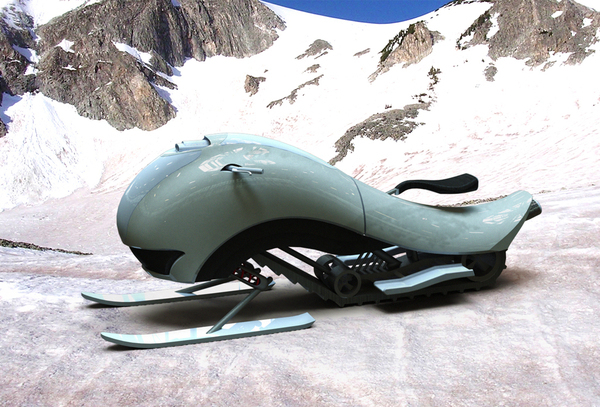 This Hima concept is one design that can change the way we use snowmobiles. 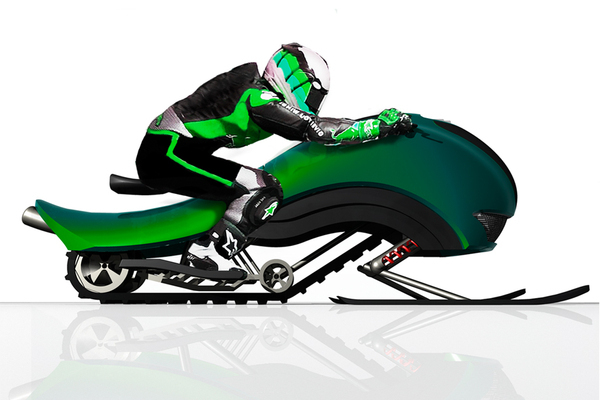 Who wouldn’t want to ride a snowmobile like a sports bike? At least I would love to do that! 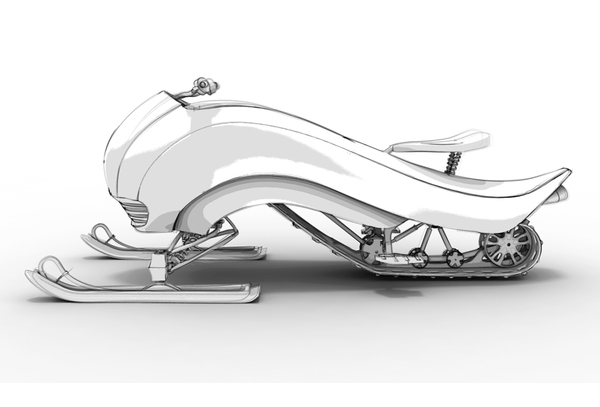 Basically, the concept behind this Hima snowmobile is to create a snowmobile that is speedy. Although it doesn’t look like all that exciting, the features make it more interesting. First off, the body which is an aerodynamic body and pretty much close to the ground base is meant for balancing the craft while it is on a high speed. This is something you don’t get to see in most of the snowmobiles around. Anyone who has ever owned a sports bike would know that this vehicle is meant for speeding by looking at its pictures. Hima would offer riders a body on which they will need to lean forward to get hold of the steering. Of course, by doing this, riders will reduce the aerodynamic drag. This is the same theory which is used for designing the bikes for MotoGP. Riders lean forward and they also lean to the side when they want the vehicle to turn. Similarly, in this Hima snowmobile, riders would do the same thing to make it turn right or left. So basically, this snowmobile won’t just be for anyone. 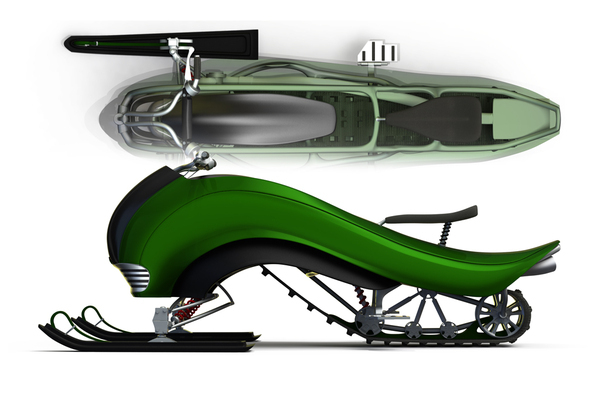 It would be a snowmobile for people who love speeding and are experienced with riding superbikes. Just a little of tweaking to the appearance of the mobile can make it much more luring for MotoGP fans. Anyways, Lee Gicas who designed the snowmobile sure did a great job! Check out some more concepts here: VW Pholeum and The Unmanned Helicopters. The Hima snowmobile should be named the “Praying Mantis”.